Astronomers aim to keep tabs on everything up in the night sky. A NASA database includes our solar system's eight planets and their moons, more than 755,000 asteroids, 3,500 comets -- and, as of this week, one cherry red sports car that belonged to a Silicon Valley billionaire. Elon Musk, the entrepreneur behind Tesla and SpaceX, put on a stunning show Tuesday with the inaugural launch of SpaceX's Falcon Heavy, which became the most powerful operational rocket in the world. Starman is headed for orbit around the sun. 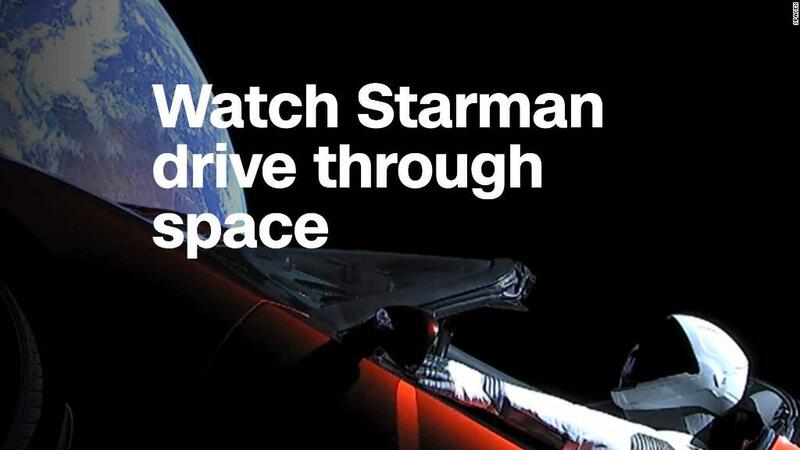 Behind the wheel is Starman, a mannequin dressed in a spacesuit. SpaceX also hid a few "Easter eggs" in the car. "You might also catch a glimpse of a smaller passenger, which is a tiny little Hot Wheels roadster, carrying a tiny little Starman," Lauren Lyons, a SpaceX engineer, said during the mission's webcast. Also on board the Tesla is a durable storage device, called an Arch, loaded with the text of Isaac Asimov's "Foundation" sci-fi trilogy. The names of over 6,000 SpaceX employees are also etched onto some hardware below the car. The Tesla's orbital path will take it as far from the sun as Mars, and as close to the sun as Earth. 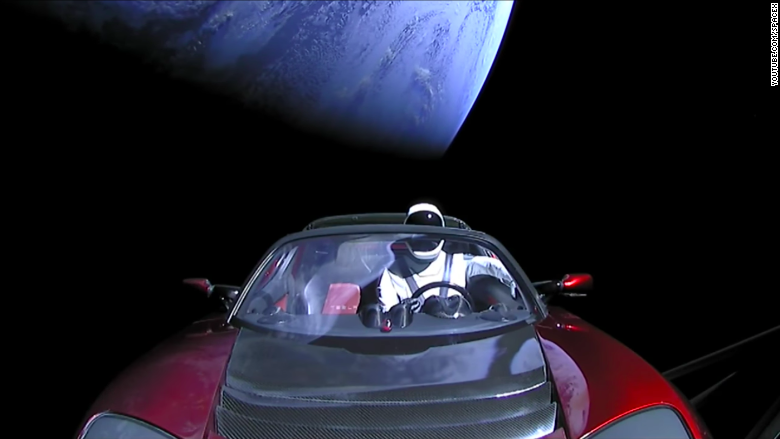 In the words of Musk, the Tesla was meant to be a silly stunt for SpaceX -- but for NASA, the car is an object in our solar system that must be cataloged and tracked. 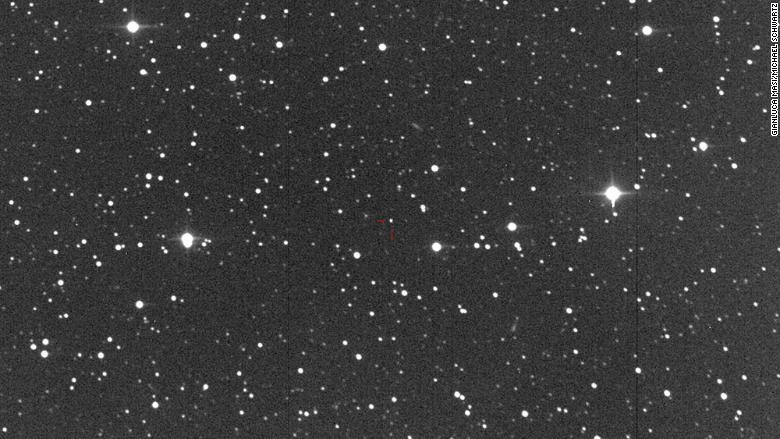 "We need to have it in our artificial object catalog so that we don't confuse it with an asteroid discovery in the future," NASA spokesperson Dwayne Brown said in an email. The Tesla now has its own entry in Horizons, a database run by the Solar System Dynamics group at NASA's Jet Propulsion Laboratory. Horizons keeps tabs on all the "bodies" of the solar system, including planets, moons, comets and asteroids. And there's about 150 man-made objects. They include exploration probes, such as Voyager 1 and Voyager 2, and some stray rocket parts left over from the Apollo moon missions, according to Brown. The Tesla is listed as object -143205, "SpaceX Roadster (spacecraft) (Tesla)." Astronomers Gianluca Masi and Michael Schwartz captured images of the roadster using the Virtual Telescope Project. NASA's Solar System Dynamics group uses the Horizons database to research how objects in our solar system move and interact. They also use it to help plan future missions to study asteroids or comets and investigate scientific theories. 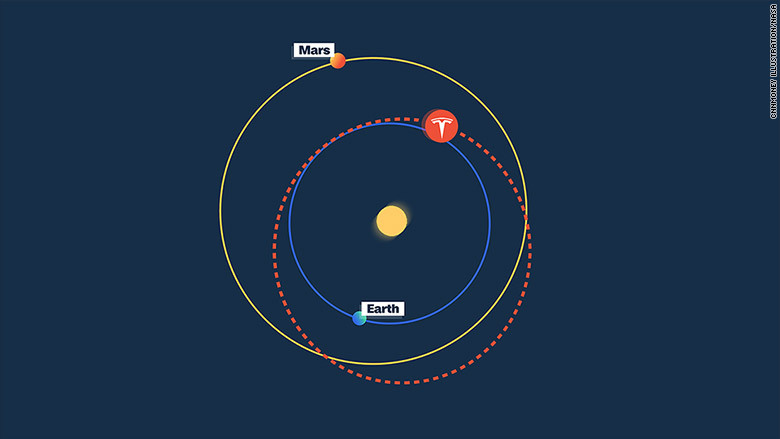 To view a simulation of the Tesla's orbit (based on the data in Horizons), go to OrbitSimulator.com and search for "roadster."